Junk Car Prices: Why So Low? & When Going to Change? Junk Car Prices: Why So Low? 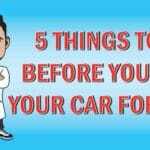 Junk Car Medics » Blog » Junk Car Prices: Why So Low? When you make the decision to sell your junker, you want to get a good price for it. After all, it can be parted to sell individual components, and then a lot of the rest can be recycled. 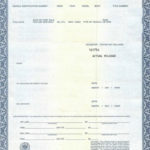 At Junk Car Medics, we diagnose your car woes with cash. We offer you a fair price…but, unfortunately, it won’t be as high as it was in the past. It might not be as much as you’d like. Much of this problem has to do with the state of the scrap metal industry. It’s not good. The call for scrap metal has dropped, and when demand is low, so is the price. That’s just basic economics. In the past, much of the U.S. scrap metal has been exported. But those sales have gone down a LOT. For example, China, once a huge market, is not importing nearly as much now. Let’s take a look at what’s happening there to see how it’s affecting the price of your scrap car. First, a scrap metal primer. Recycling metal reduces both energy demands and pollution. Mines need to produce less ore. Generally, though, salvagers don’t get scrap metal until products wear out. But steel, for example, is incredibly strong, so that can be years and years…and years…and years… Steel products are highly unusual because they always contain some amount of recycled steel. Steel makes up about 65 percent of a junk car. At the start of 2014, scrap steel was going for $400 per ton. However, over the course of that year, the price dropped at least $100. 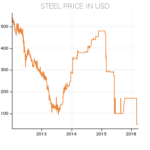 Though hopes were high that the industry would turn around in 2015, during February of that year the price of shredded steel fell another $80. In just one month! Overall, the price of scrap steel has plummeted over 40 percent since the beginning of 2012. In 2003, China imported over $1 billion worth of scrap metal from the U.S. The country’s growing industries – construction, telecommunications, consumer products — helped set that record. It’s typically less expensive to manufacture by recycling metal rather than starting from scratch with ore. Some American scrap metal dealers sold the majority of their materials to China. Why Selling Scrap Metal to China? There are a few of reasons for this. China’s domestic scrap metal industry is growing. At the start of the 21st century, a lot of cars, appliances, and machinery were sold inside the country. Now much of that is ready for scrap yards. In response to this, China’s government supported the establishment of scrap metal collection centers. During the 21st century, China has become a world leader in steel production. However, in the last few years, demand for its product has been dropping across the globe. China, therefore, had surplus steel within its borders. With fewer places to sell their steel, production is dropping. This leads to a reduction in demand for American scrap steel. Another problem for scrap metal exports is the high value of the U.S. dollar internationally. On the surface you might think, “Yea! Strong dollar,” it actually can make exporting more difficult. American good fortune raises cost of exports, including scrap metal. In many cases, importers simply have to buy less. It’s basic economics: when demand is reduced, prices typically drop. In the U.S., prices for scrap metal are not nearly as good as they once were. 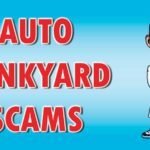 Because of this, salvage yards have reduced their offers, and junk car prices have dropped. So, for now, everyone is making less money. But “less” doesn’t mean “nothing.” If you have a junker just sitting around, Junk Car Medics will pay you in cash. And that means you’ll have more in your pocket than you did before you made the call.